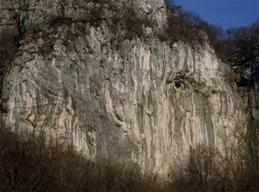 interesting and recommended cliff in the suggestive corner of the Lecco area. Excellent rock and complete climbing. Compact vertical walls and intense overhangs characterize the structure. On the other hand, do not use the streets on the right side, subject to shocks of stones. Nailing sometimes distant and obligatory compared to modern standards. sun in the late morning, rock long wet after intense rains. Access: From lecco towards Cortenova (esino-cainallo). Passed the town of Parlasco and the fraction of agueglio. Park where possible. structure clearly visible from the street.